From authentic arts and crafts and artisanal food that will have you returning for more to perfectly functional electrical goods that are about a quarter of the price than in the store and handcrafted gifts made by charismatic entrepreneurs; you can expect to find everything and anything amidst the hustle and bustle of Cape Town's marketplaces. 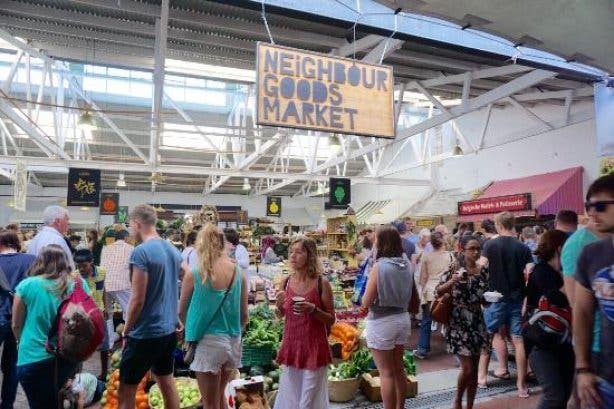 We've rounded up ten of Cape Town's finest markets for you to discover everything you're looking for and a whole lot of other things you probably never knew you wanted. Enjoy! Artisanal markets aren't all about wooden statues and beaded jewellery. Not when there's a market where everything from high fashion to tequila is made by hand. There are also gifts like toys, leather items, ceramic decor and loads more. 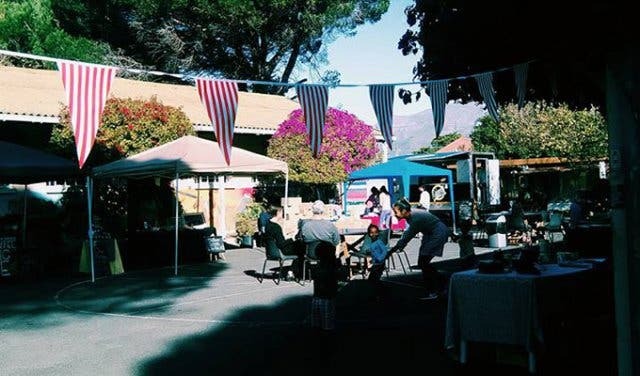 In 2019 Jan Van Riebeeck High School becomes a bustling market when it becomes the venue for KAMERS/makers in Cape Town. 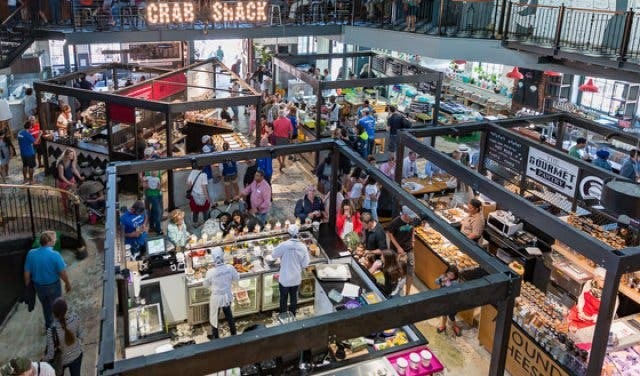 If you like your artisanal street food affordable and open seven days a week and served with live music on the weekends, you’ll love the V&A Food Market at the Old Power Station. 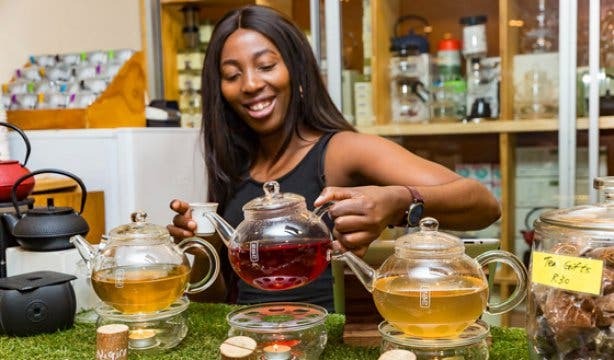 With 42 vendors and cutting-edge street food concepts like non-dairy yoghurt smoothies and your choice of steak cuts to go, it’s like getting a gourmet experience for a fraction of the cost. Open seven days a week from 10am to 8pm Sundays to Thursdays and 10am to 9pm on Fridays and Saturdays (November to April) and 10am to 7pm Sundays to Thursdays and 10am to 8pm on Fridays and Saturdays(May to October), this market offers free live music every Saturday, Sunday and public holiday from 1pm to 4pm. 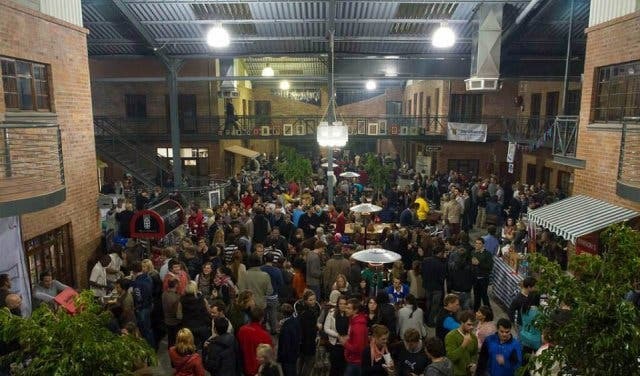 The market is located inside the beautifully restored Old Power Station building, with its original steel and wood structures and double volume space creating a lively atmosphere as unique as it is spacious. 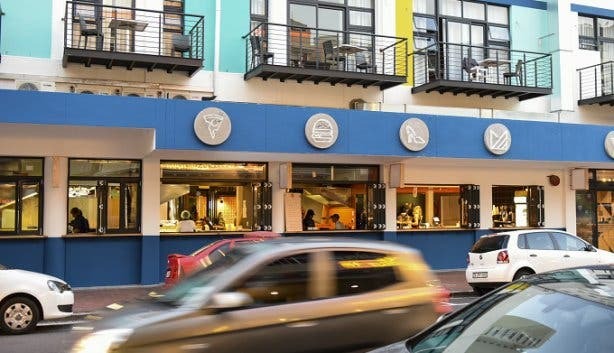 There are plenty of tables inside, upstairs and outside the venue, which overlooks Table Mountain and the quays on the pedestrian walkway to the Cape Grace and V&A Waterfront. 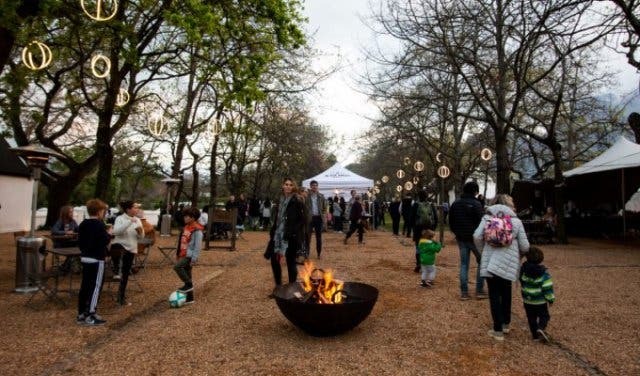 Visit this gourmet market between 09:00 and 14:00 every Saturday for fresh vegetables, seafood, gourmet goodies, artisan bread, organic ciders and the best coffee in town. Arrive early to avoid the rush at this popular market. 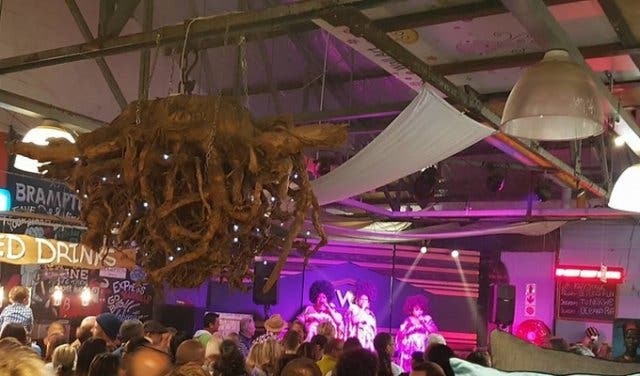 From its seaside perch, this indoor weekend market has put the town of Hout Bay back on the map as it celebrates Cape Town, and South Africa as a whole, as a hub of creativity, culture and cuisine. Though best known for its vibrant energy, the colourful affair has all the trappings of a standard bazaar too: great traditional food, which caters to vegetarians, vegans and the carnivore, and plenty to drink (think raw juice and refreshing craft beer). There’s a dynamic array of traders selling everything from crafts and novelties to artwork, vintage clothing and beautiful jewellery, not to mention vinyl EPs and extraordinary memorabilia. Best of all, the Bay Harbour Market has live music every single weekend, and the groovy tunes really create a remarkable buzz. It’s also worth noting that kids are welcome too, and the market caters to young ones by providing an outdoor, non-smoking play area as well as child-friendly food and drinks. Finally, as the market is predominately indoors and has a massive fireplace, it makes a particularly fantastic winter to-do. The Bay Harbour Market runs from 4pm on Fridays in summer, and 5pm in winter and from 9:30am to 4pm on Saturdays and Sundays. 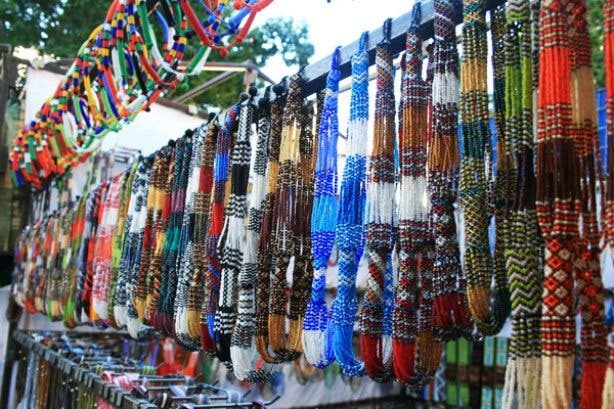 A popular attraction at Hout Bay's village green, the craft market is set in idyllic mountain ranges. Visit between 10:00 and 16:00 every Sunday for clothing, leatherwork, iron and steel work, South African curios, wire work, basketwork, handmade toiletries, pottery and ceramics, textiles, paintings, puppets, children's toys and much more. 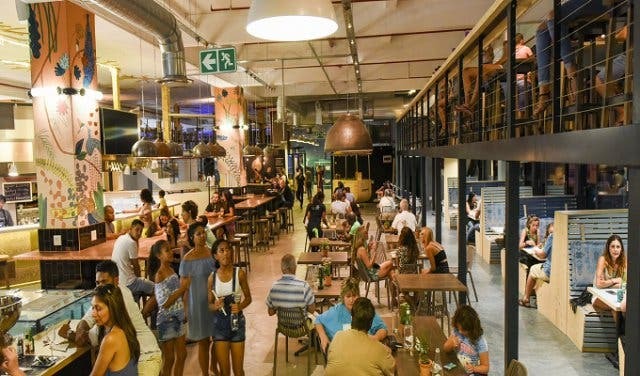 Best known for bringing country-style food to city tables every Saturday in Woodstock, the Market at The Palms is the kind of place where you’ll find old-fashioned hospitality and simple, honest homemade food whipped up by passionate, salt-of-the-earth traders. 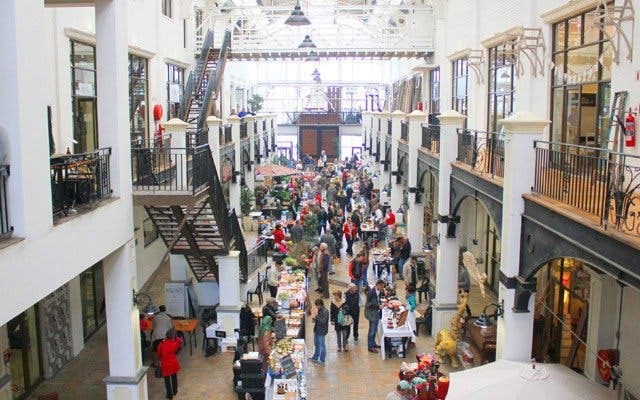 Every week, 40-odd vendors populate the European style Palms Décor and Lifestyle Centre with tables that groan under the weight of spruced up South African heritage food, like coq au vin pie and angelfish pâté, as well as gourmet goodies, like exotic mushroom skewers, organic tabouleh and dulce de leche. Live music by up-and-coming musicians adds an extra smidge of ambience and the foodie affair’s large indoor area and charming courtyard make it a perfect to-do no matter the weather. Kids are welcome and the market runs from 9am to 2pm every Saturday (underground parking is FREE!). 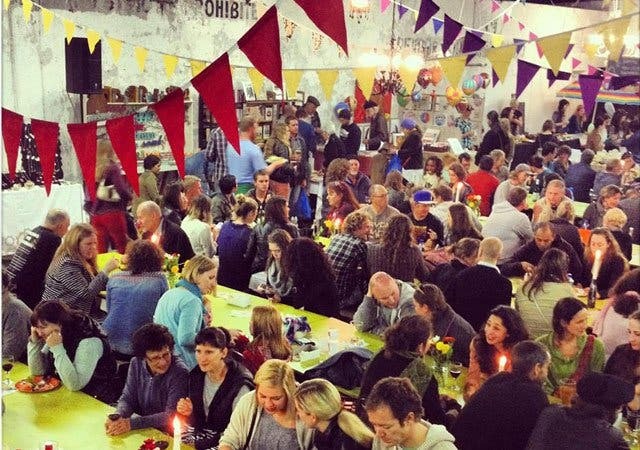 Housed in a historic plane hangar in the heart of the old Muizenberg village, the indoor Blue Bird Garage Food and Goods Market is a down-to-earth neighbourhood affair that offers locals a place to relax and pick up delicious produce and pretty trinkets at the start of the weekend. 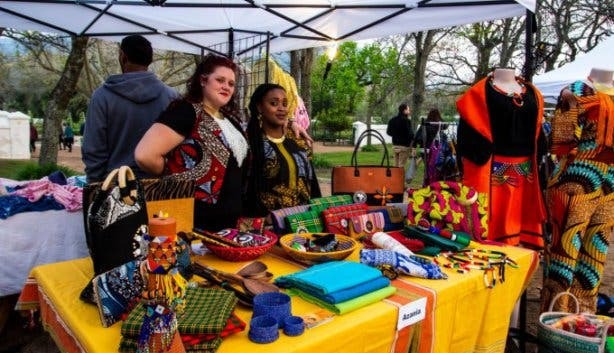 The weekly market – it runs every Friday night between 4pm and 10pm – features over 40 friendly traders selling everything from succulent burgers, fresh sushi, gourmet cupcakes and crispy samoosas to handcrafted jewellery, stylish clothing and second-hand books. 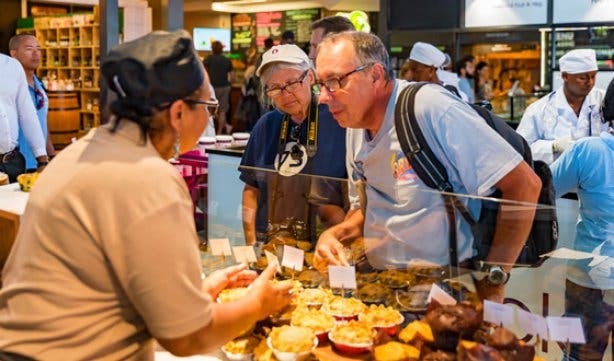 Guests can pick their meal and their poison – there’s a permanent bar offering craft beer and wine in one corner – and take a seat at one of the long, central trestle tables. While adults chit-chat the evening away, little ones are kept entertained in the designated kids’ corner that comes complete with slides, climbing frames and more. Needless to say, it’s a great night out for the whole family. 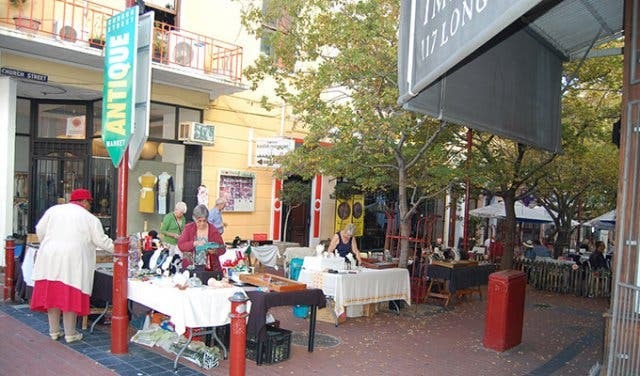 You'll find arts and crafts, hand painted fabrics, wood carvings, glassware, clothing, curios and much more at one of Cape Town's oldest markets. 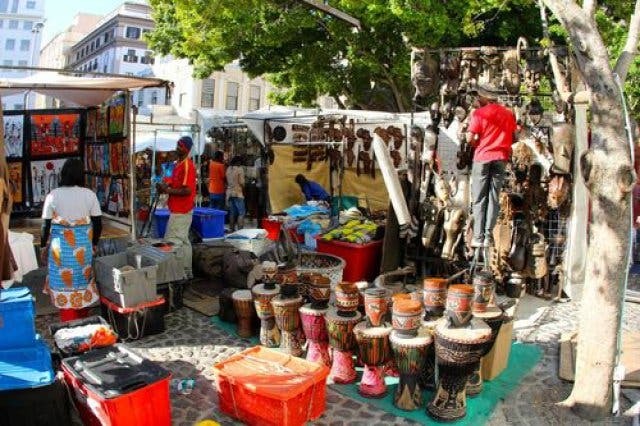 Visit between 09:00 and 16:00 from Monday to Friday and between 09:00 and 15:00 every Saturday to meet vibrant market sellers. Not sure what you're after? 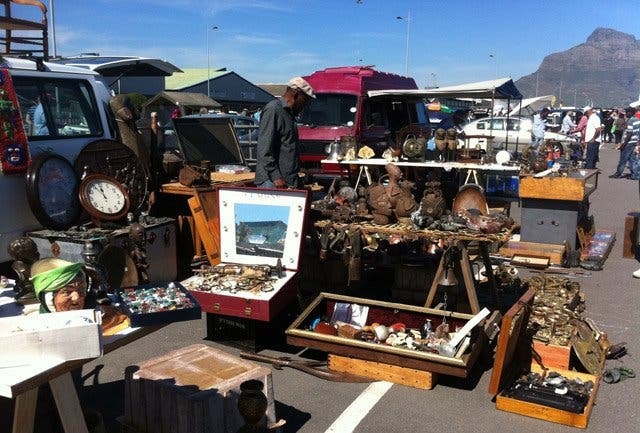 Visit the second-hand flea market that has almost everything and the kitchen sink, open between 07:00 and 16:00 every Saturday and Sunday offering irons and biltong to t-shirts, car parts, computers, Tupperware, telephones, exercise machines and much more. Visit Church Street's charming and cheerful market between 09:00 and 16:00 from Monday to Saturday for vintage clothes, antique costume jewellery, accessories, handmade curios and tarot card readers. Arrive early on a Saturday as they pack up early and check out the indoor version on rainy days. 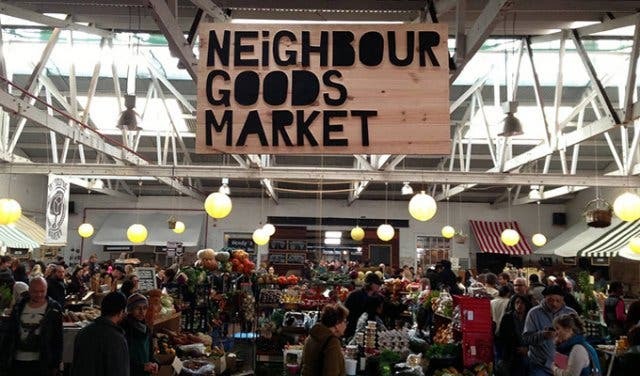 For a market with a homely feel, head to one of Cape Town's best-kept secrets between 09:00 and 17:00 from Tuesday to Sunday. 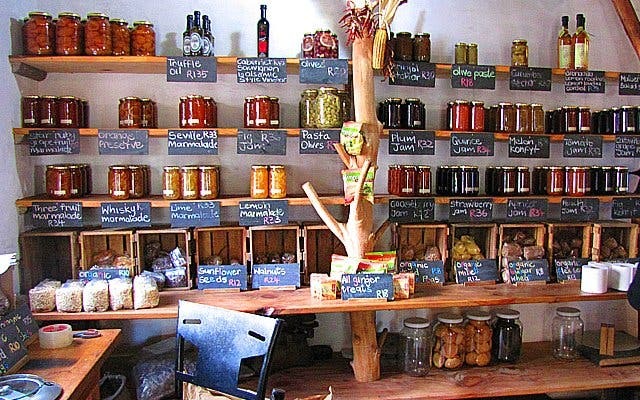 Enjoy lazy breakfasts or lunches, vegetables from a horse and cart or stock up on homemade preserves and jams. The newest kid on the block (opened at the start of 2017) this absolute gem of a market boasts gourmet cheese sandwiches (check out Raclette for these gooey gems of goodness), scrumptious South African cuisine, affordable fashion, proudly South African produce and possibly the best ice cream ever Baskin and Robins; you absolutely have to try the waffle bowl - yes, a bowl of ice cream made from waffle. What's better yet, this market is open seven days a week from 7am to 9pm. The Woodmill Market takes place in the heart of Stellenbosch and is open every Friday evening from 5:30pm to 10pm. Entry is free and the live music and an eclectic mix of products and produce makes for an enjoyable and unique outing with friends and family. Expect to see artisans selling top-end products; food stalls and boutique wineries. There is also a designated kiddies area and ample parking available. Think you have a green thumb? Take your pick from thousands of plants at the Kirstenbosch Plant Fair. Learn a new move or two at a free Salsa Social. 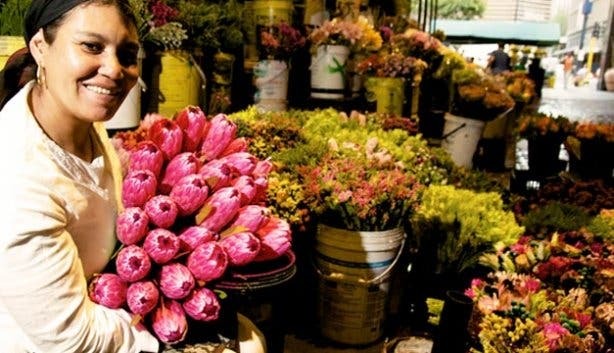 Be sure to read our 10 top speciality markets in Cape Town and surrounds. 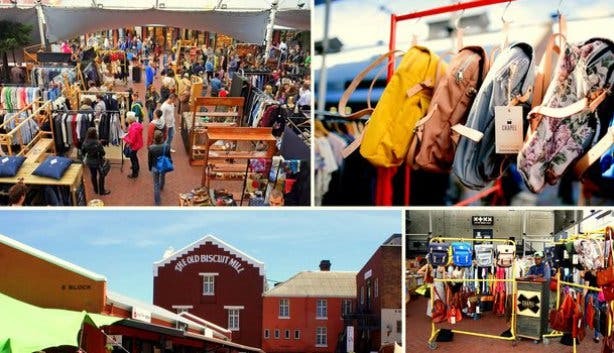 Plus, check out this unique Slow Market in Obs. 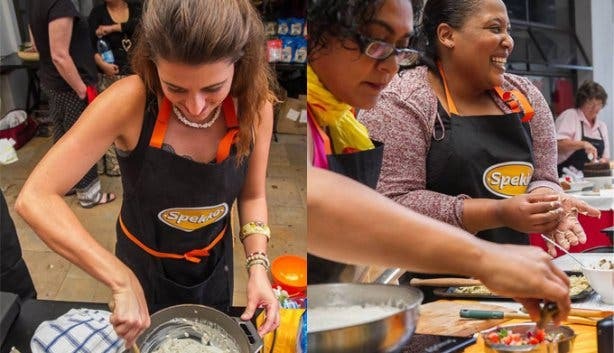 Free entry: prawns, horseracing and a summer market at the Cape Town Prawn Festival.